​organically sourced Virginia maple syrup. 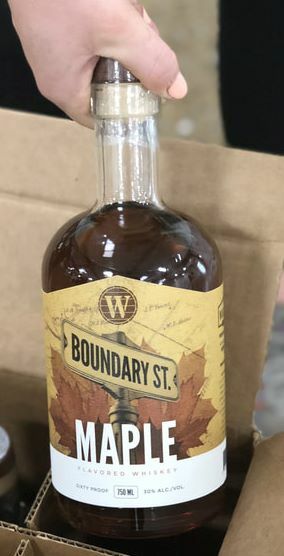 Boundary Street Maple is an exquisite blend of a fine bourbon mash whiskey with a splash of pure Virginia Maple Syrup. Handcrafted in small batches and rested with bourbon spirals, this maple flavored whiskey is spicy, smoky, and unbelievably smooth. It is well-balanced with the perfect combination of sweet and smoky flavors. ​ Best served a few fingers deep on the rocks.